Appelt Messebau | We are not just "involved" in the project, we stand fot it! 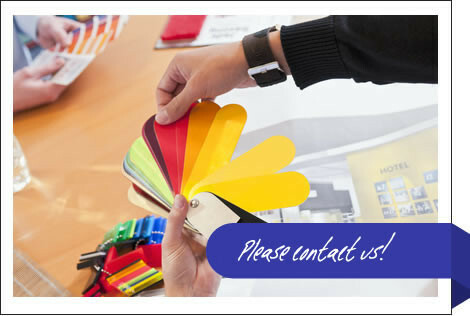 We – an effective and experienced team of project managers, logistics experts, timber technicians and specialists in the fields of electrical engineering, metal construction, plastic processing, decoration and graphics – see ourselves as integral service providers for everything to do with your trade show participation. Graphic designers, technical draughtsmen and architects support our established crew in the individual projects. In addition, we draw on a network of suppliers, manufacturers and cooperation partners that has grown over the years. Specialised in technical implementation, we have completed complicated projects since 1983, providing our customers with the best possible trade show participation. Right from the start, our regular customers have formed the basis of our company. Our project planning is based on the budget planning, whereby punctual completion of the project is among our pivotal priorities. We are just as interested in state of the art technology as our customers, only timelines, the desired scope of the project and the available budget define the limits. It is our job to make sure that your future success does not look like yesterday`s!